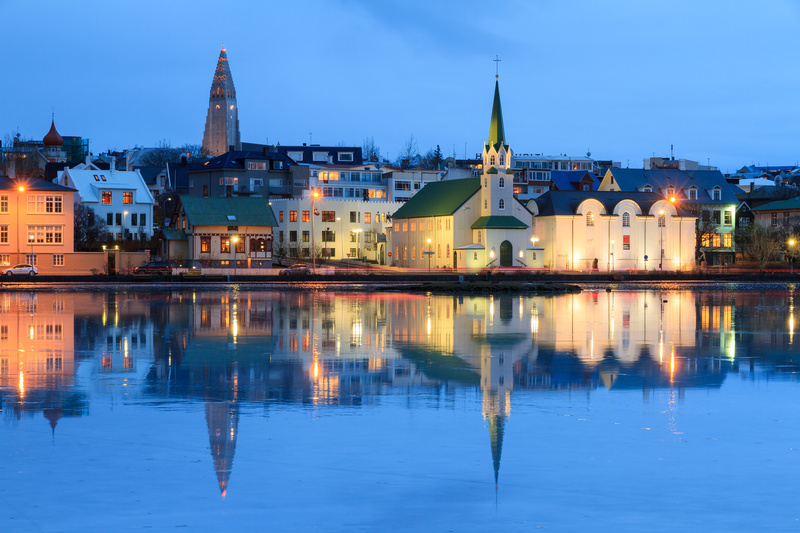 Baltimore, Chicago, Denver, Minneapolis, Newark, Orlando, Pittsburgh, Seattle, Washington, D.C., and Dallas Airports for your nonstop/overnight flight to Keflavik Airport via Icelandair, WOW Airlines or Delta Airlines. Both airlines will be adding more departure cities and we will update this list as they come on board. 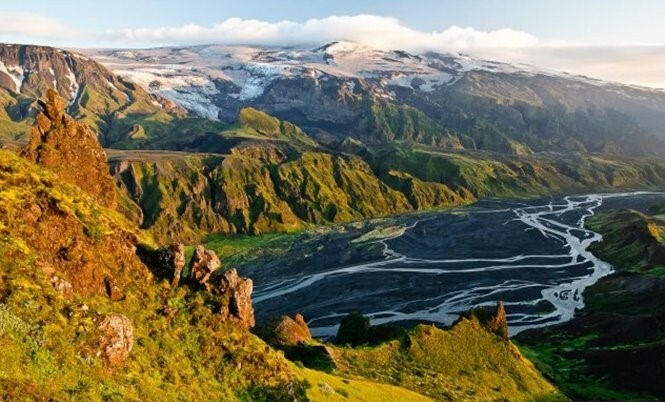 A tour with quilt designer Gudrun Erla Gisladottir to her homeland – Iceland, featuring many of the major natural attractions of this unique country – the majestic waterfalls, boiling hot springs, mountains and glaciers. Early morning arrival at Keflavik. Clear customs then take a short drive to Viking World, a museum that features exhibitions about the times of the Vikings – Breakfast is served at the museum. 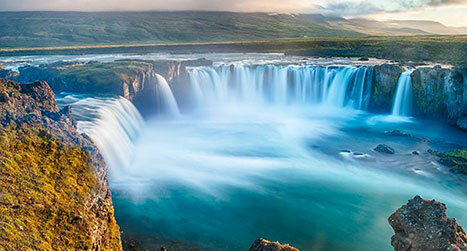 Depart from the museum for Iceland’s capital city, Reykjavik, located just 32 miles north from the airport. 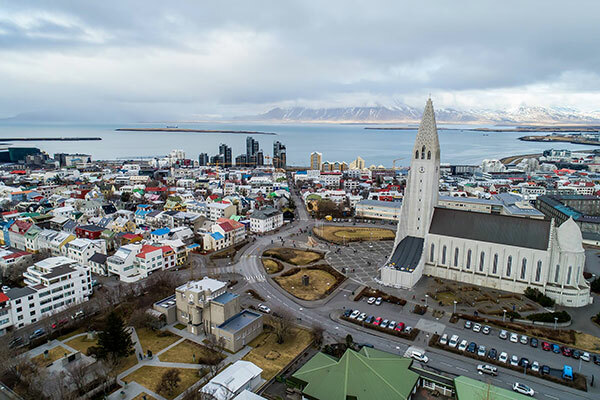 Once in Reykjavik head directly for Hallgrimskirkja, the tallest and largest church in Iceland. You get a great view of the city, the ocean and the surrounding mountains from top of the water tanks that supply the city with hot water. Thingvellir - Geysir - Gullfoss - The "Golden Circle"
* Thingvellir National Park – this national shrine of Iceland has been designated a UNESCO World Heritage Site. Thingvellir is the location of the oldest Parliament in the world, first assembled here in 930 AD. *Geysir Geothermal Area – the hot springs area famous for the first geyser ever mentioned in text: the one for which all geysers are named. Geyser erupts every 4 to 8 minutes. After breakfast at the hotel depart for a 2 hour walking tour through Heidelberg with Angela. 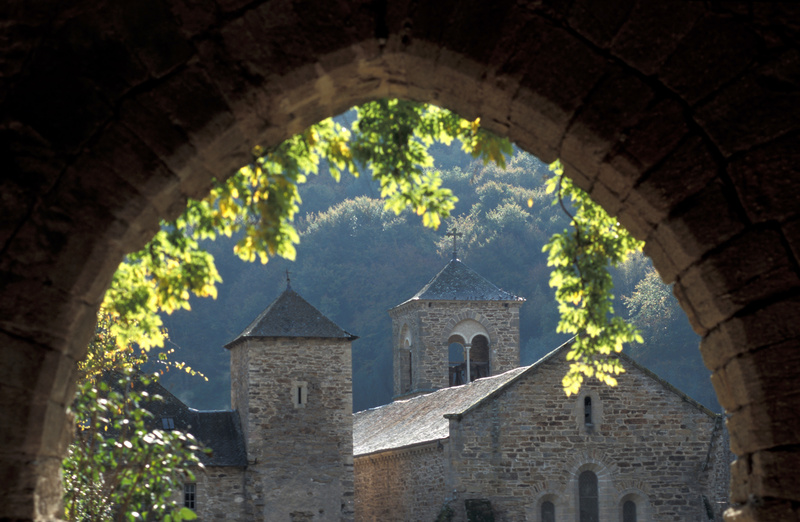 Visit the Church of the Holy Spirit as well as Germany’s oldest university. 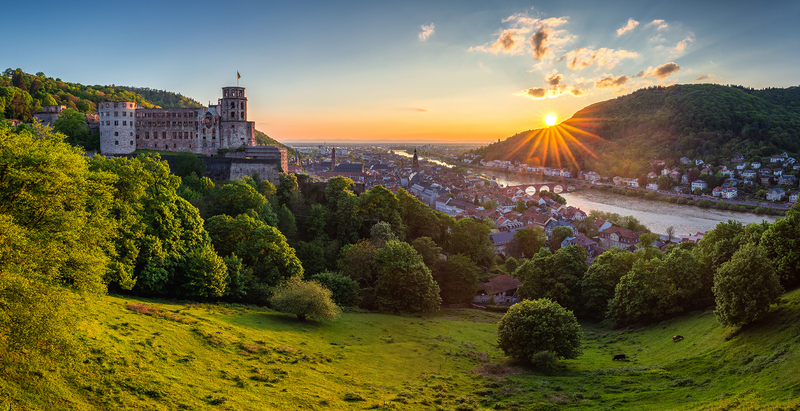 Say goodbye to Heidelberg and drive south on the “German Wine Route” passing through the heart of the Palatinate (Pfalz). After breakfast at your hotel transfer to the show in St. Marie aux Mines. The entire day is devoted to the Patchwork Meet. Spend a full day at the Quilt Show and then transfer to your hotel in Kaysersberg. Dinner own your own in town. Breakfast at hotel then take a walking tour of Kaysersberg followed by a visit to the castle ruins that tower above. 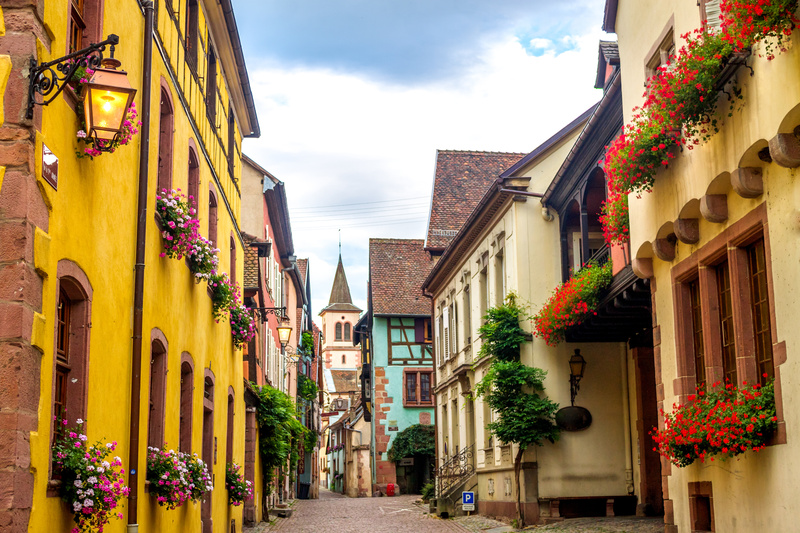 Depart Kaysersberg and visit the historic villages of Equilheim, Riquewihr and Colmar – Colmar is the largest and most popular of France’s storybook towns. 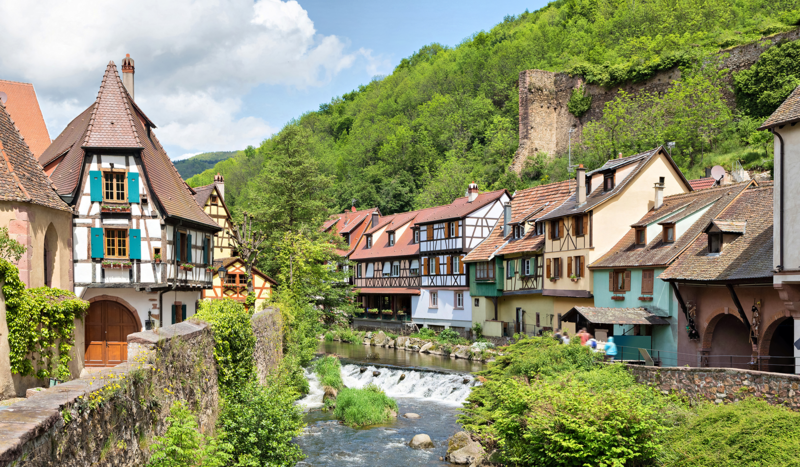 Enjoy lunch and a tour of Colmar then proceed to Strasbourg where you will board the French TGV to Paris – enjoy rail travel French style. Your hotel is located in a tiny, quiet street in the theater district of Paris. The hotel has 29 rooms that come with a flat screen TV, minibar, hairdryer, bathrobe, slippers and free WiFi. Breakfast then depart for a 4 hour city tour of Paris that includes the old Marais district, the Latin Quarter with the Sorbonne University, the Luxembourg Gardens and Notre-Dame Cathedral. The afternoon is free without a set program. If Paris is new to you just sitting in a sidewalk cafe sipping an aperitif or simple people watching in the splendid atmosphere of this remarkable city is a good choice. For the more ambitious a visit to the famous Louvre would easily fill the afternoon. Beneath the Louvre is a major shopping center. Today is the last day of your tour and is at your leisure to spend as you wish. 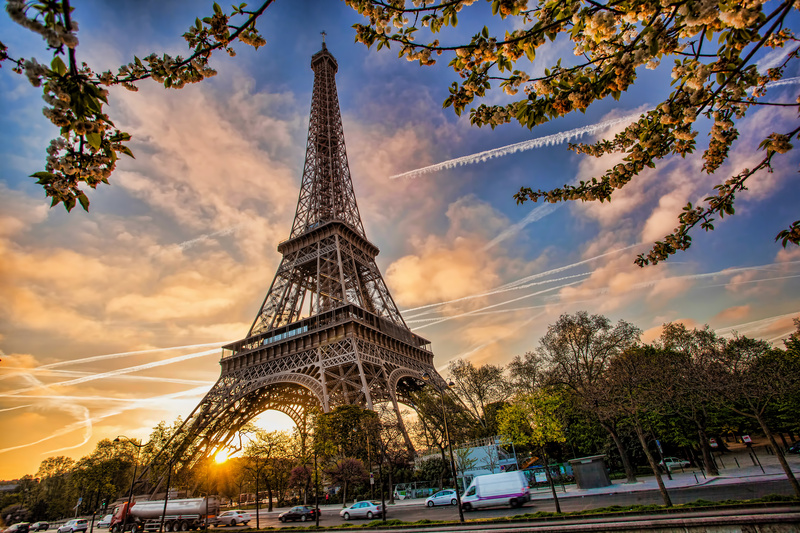 For those in Paris for the first time and would like to see more of the many wonderful attractions that Paris has to offer – we offer optional tours to “The Palace of Versailles” and the “Moulin Rouge Dinner Show”. Option 1) The Palace of Versailles – One of the most famous monuments in the world, the residence of the kings of France, Louis XIV, XV and XVI and their courts from 1682 to 1789. The Palace is over 721,000 square feet – for a comparison the White House is 55,000 square feet. 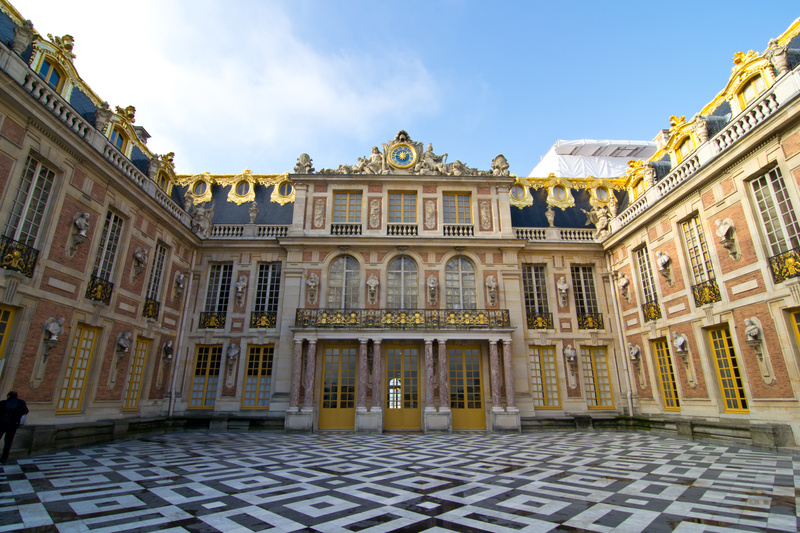 The Coronation Room, the Queen’s bedroom, once occupied by Marie Antoinette, the Hall of Mirrors and the Gardens of Versailles are yours to explore on this tour. Late afternoon arrival in the United States and Canada.